Not sure if this is a thing yet or not. And many of us have answered these questions in some form or another over the years I am sure. But it is still fun to read and do. In no particular order and sometimes the entries are representative of a larger collection. The first RPG product I ever held or read. It grabbed my attention in such a profound way that it is still, 35 years later, to fully quantify. It fueled a life-time of fun and adventure. Special Mention: AD&D Dungeon Master's Guide. Nearly it's equal in effect but a superior book. It just didn't get to my hands first. A lot of people talk about "the Red Box". My Red Box was magenta and had Erol Otis on the cover. 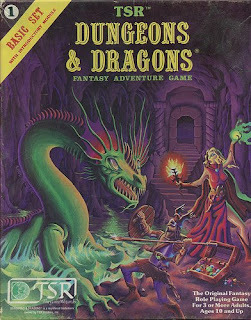 For me this was the start of what became "my" D&D. Not someone else's game, but my own. I got my first set of dice in the box. I read and reread that book at least hundred times. Again, it might even superior to the Basic box just for everything it added. But Basic comes first. Chill. I have talked about Chill so much and with good reason. This is the mid-west, monster fighting, "bumping back the things that go bump in the night", game where average Joes and Janes can stand against the darkness and walk away at the end. While I have a special place in my heart for the Mayfair version, it is the 1st edition Pacesetter version that I think back too. If I can only ever have one vampire hunting book then let it be this one. "The Old Ways are Lost". I love the the Renaissance; the idea of the world waking up out of darkness and ignorance to bring science and learning to all. Ok. It didn't happen like that, but it can in a game and this if the best of the lot. Plus it is old school magic versus new world science. It takes what is great about Mage and makes so much more cooler. 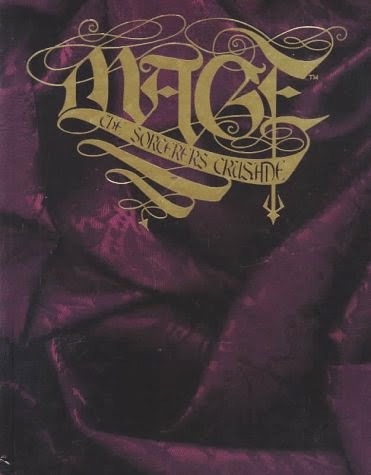 You can't have the Sorcerer's Crusade without Mage and you can't have Mage without Vampire the Masquerade. VtM changed gaming in the 90s and it's effects can still seen today even far beyond gaming. 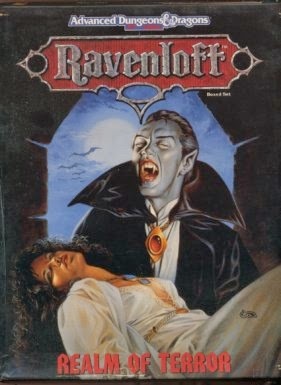 I loved the Ravenloft Module I6. The boxed set Realms of Terror was just the thing I needed for my 2nd Ed games. I loved horror, vampires, witches and this seemed like the perfect mix for me. 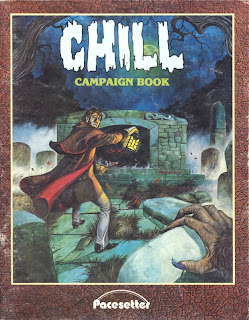 In fact I played so much Ravenloft that it is difficult for me to tease it apart from 2e. They are the same for me really. What is the only way to improve Ravenloft? Stick it on 19th century Earth and throw Dracula at the players. There are many places where this game doesn't work, but I loved it all the same. This handy little guide is everything you need to run every sort of horror game. Straight up horror, survival horror, personal horror, comedy horror. You name it, this book covers it. It is small, but not cheap. I have often complained that GURPS, as a game, has no soul, but the supplements can't be beat. GURPS Horror is one of my favorites. 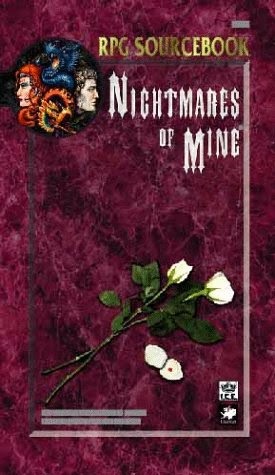 Like Nightmares of Mine it covers how to play a number of different types of horror games. THE horror game. I have always enjoyed the works of Lovecraft and in many ways CoC is not just the first horror game but also the first RPG based on a property. The system itself, the Basic-Roleplaying System, also gave such fun games as RuneQuest and Elric/Stormbringer. 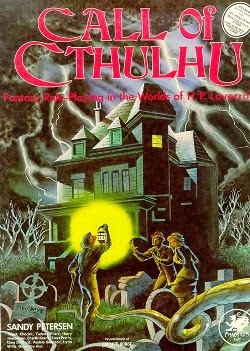 As much as I love the cosmic horror of Lovecraft, Gothic horror is one of my first loves. This is a great mix of both. How could I not put this one up? I have always rather liked Mayfair and their Role-Aids books. The quality varies with some being quite bad. But this one is great. I had already been working on my own witch for a number of years when this one came out, but seeing it on the shelves made me happy. I knew I was working on something that at least one company liked. Witches didn't invent the idea of Traditions, but it did help define it a little bit better. 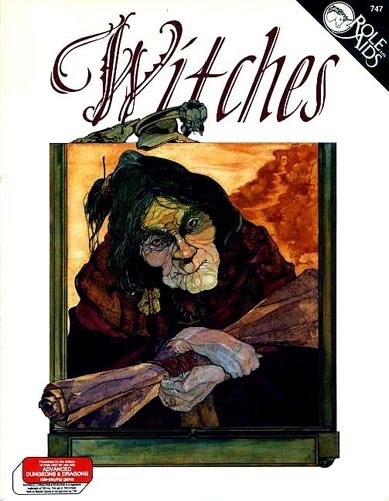 Though I am still not a fan of the Deryni Witch. Partly because I didn't think their concept worked as a witch and mostly because I had just left an OD&D game where we played Deryni as a race. 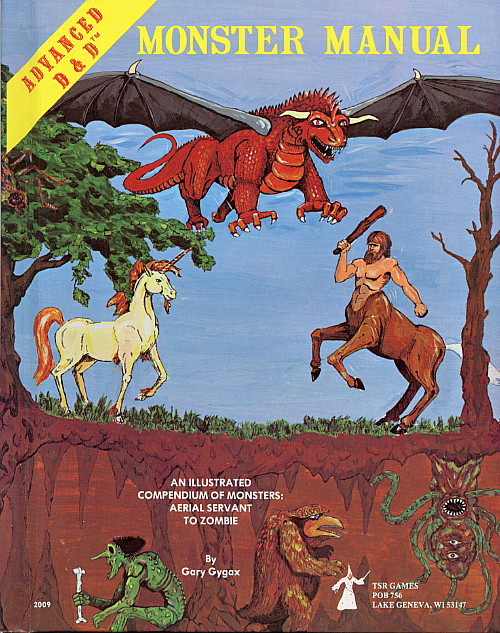 But in any case this is still one of my favorite third-part supplements to D&D. Most gamers of my generation remember this as the witch issue. There is a lot to like about it, but what keeps this one around for me is the witch class. I have gone on and on (and on) about my love of this game. To me it really is the pinnacle of what the OSR could do. Plus it has such a great feel to it and honestly it combines every that has been on this list so far. D&D, horror soaked lands, monsters and things from beyond. All in a red box! Basic Fantasy to me represents the best DIY spirit of OSR and the community. It also happens to be a gret set of rules and is almost exactly how we played our Basic/Advanced D&D mashups back in the 80s. There has only been one game ever that has come close to displacing D&D in my heart and that is C.J. 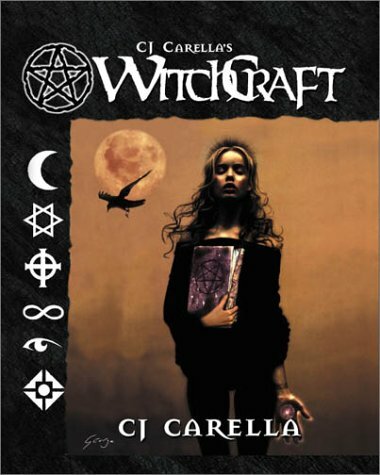 Carella's WitchCraft. For me this game has everything I wanted in a modern game with a great back story, fantastic art and a magic system that really is second to none. I know. Totally cheesy mentioning your own game, but it is true. Ghosts of Albion is not only my favorite Victorian game, but also my 256 page love letter to WitchCraft. Good choices... we enjoyed "Chill"
Yeah I read all the Ravenloft books too. Nitsy point, but BRP and CoC are outgrowths of Runequest. RQ came first. 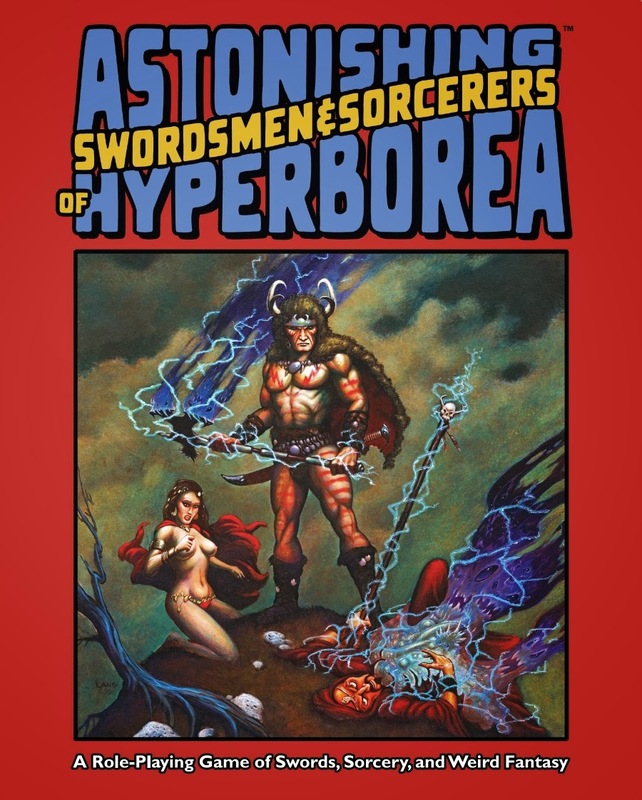 BRP was a generic, simplified version of the Runequest rules. CoC, Stormbringer, et al were each customized from the BRP ruleset. Fair point one BRP! But CoC was first with me then the others came. Those are some damned fine choices. 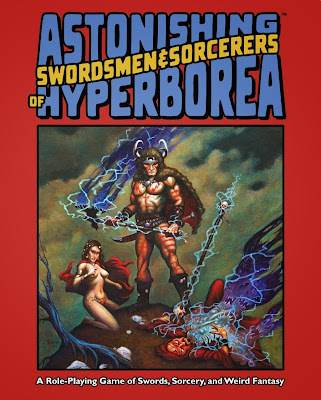 I have to say, the Swashbuckler's Handbook (or whatever it was called) for Sorcerer's Crusade was one of my favorite WW supplements. I wish that I still had it.